Buoyed by reform initiatives, the majority of senior corporate executives are convinced that the current regulatory environment in India is supportive of business growth in the country, according to an Ernst & Young survey. “India is witnessing a high level of confidence in its economic growth. More than 50 per cent of the Indian respondents (as compared to 27 per cent six months ago) were of the opinion that the domestic economy is recovering,” states the report. Global consultancy Ernst & Young’s survey also found that around 86 per cent of the executives consider the domestic economy to be stable or improving while investing capital is the priority for about 40 per cent of the respondents. “Nearly 67 per cent of them are of the opinion that the current regulatory environment is supportive of business growth initiatives in India,” according to the E&Y Capital Confidence Barometer. The report states the recent government decision to allow foreign direct investment in retail as the greatest confidence booster. 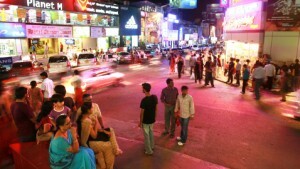 The Indian government has allowed 51 per cent FDI in multi-brand retail and 49 per cent in civil aviation. Besides, the setting up of Cabinet Committee on Investment to fast track big-ticket infrastructure projects and partial de-regulation of diesel prices, have also boosted the overall confidence, the report said.